To provide autism awareness for educators. To develop an understanding of creating an educational environment that is autism friendly and conducive to students learning. To provide educational strategies using the iPad in order to creative a productive learning environment. To have awareness of the various apps that can be used to assist students on the Autism Spectrum in the classroom. Continuing Education Unit credit (1) through University of North Dakota. States across the U.S. have different terminology to label types of graduate-level professional development units. It can be referred to as “professional growth,” “professional development,” “post-bachelors credit,” or “graduate continuing education.” Regardless of the terminology, and in light of some confusion with semantics among different states, we want to make it clear that these self-designed courses offer only graduate-level professional development units to teachers across the U.S. These credits are graduate-level professional development units that are not part of a degree program but instead are primarily used for professional advancement (such as salary increment steps and re-certification). 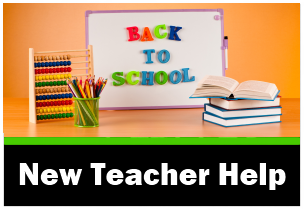 You should seek approval of appropriate district or college officials before enrolling in these courses to satisfy any degree, state credential, or local school district requirements. 1/ Learn how to learn. 2/ Have their lessons differentiated and individualized. 3/ Achieve success in their learning, according to their own individual learning style. Children with autism learn differently and it is the view of many researchers and experts such as Simon Baron-Cohen (2005) and Temple Grandin (2010) that autism is not so much a disease but indeed a difference in learning styles. There is significant research that supports the use of technology for students who are on the Autism Spectrum as a tool to assist their learning outcomes. In the past eight years of working with students with autism I’ve discovered students who have distinct learning differences, but despite the differences students can learn. We just have to find the door in to the way each child’s brain works. Technology is a huge game changer for these students and it is important that as educators we use them appropriately. They should not just be used to ‘tame’ the student who is having a meltdown; or as a ‘filler’ when students can’t keep up with the ‘mainstream’ work. When used properly, technology and specifically using the iPad for autism education, can bridge the gaps for the students who have learning differences; and can be utilized to differentiate lessons like never before. Each part to the iPads for Autism Education professional development series is available online through Digital Learning Tree/University of North Dakota, where you can earn CEU university credits upon completion. To take Autism iPad Techniques to Bridge Learning Gaps and earn Continuing Education Unit (1) please visit the course page with University of North Dakota. There are three parts to this course series by iPads for Autism Education expert Karina Barley. To provide awareness on learning styles of children with autism, and strategies to enhance the educational experience of children on the Autism Spectrum. To provide knowledge and strategies to educators who intend to work, or are working with students who have autism. To know how to provide an autism friendly classroom that includes sensory strategies using technology which are conducive to learning. To understand the importance of using technology to assist students who are on the Autism Spectrum. To provide a core list of apps that caters to the curriculum areas of language arts and mathematics. To develop awareness of the Autism Spectrum and how this affects student learning. To be aware of how children within the Autism Spectrum learn and to develop an understanding of their various learning styles, and how each and every child needs unique and individual strategies for successful living. To understand the impact of sensory issues for children within the Autism Spectrum and how this affects their learning. 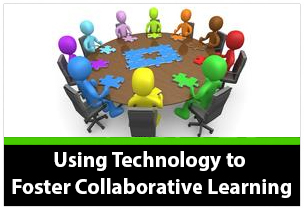 How to use technology to develop strategies for educational programs. How to differentiate learning using the iPad for the student on the Autism Spectrum. Autism – Understanding your student and how they learn. 21st Century Learning and Autism. Sensory issues and using technology to promote learning for students with autism. Why use the iPad for students on the Autism Spectrum? 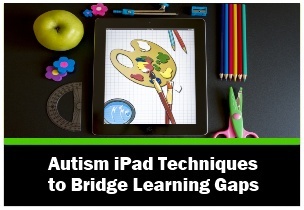 iPad apps for autism education that bridge the learning gaps. 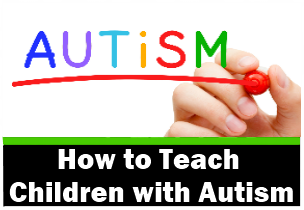 Lesson One – Autism – Understanding your student and how they learn. The traditional meaning and what it can mean for students. Experiencing the world for an individual who is on the autism spectrum, from the client’s perspective. 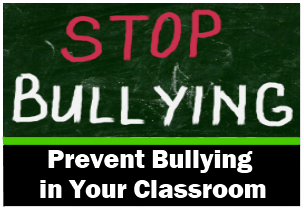 What every teacher should know. Learning styles and differentiating learning for your students with autism. Lesson Two – 21st Century learning and autism. Using technology in the 21st Century classroom. What does this mean for the student who has autism? Lesson Three – Sensory issues and using technology to promote learning for these students. How do sensory issues affect a students learning? Lesson Four – Why use the iPad for students on the spectrum? Why use iPads for autism education. iPads – Why do they work for students with autism? Strategies for using the iPad in a variety of classroom scenarios. Lesson Five – iPad apps that will bridge the learning gaps. Apps that work across the curriculum. Apps that are multi-visual by nature. Strategies for using apps with your students with autism.